Louis holds the position of Director of Golf at Stellenbosch Golf Club. 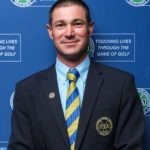 He began his academic career at University of Stellenbosch and completed his degree in Sports Science before joining the PGA Apprentice Programme in 2001 under Arnold Mentz at Stellenbosch Golf Club. In 2003 Louis received the PGA Apprentice of the Year Award for outstanding Academic achievement & commitment to the programme. In 2004 he completed the PGA Academic Apprentice Programme. In 2002 Louis completed the R & A Rules Diploma. Louis was elected as the Western Capes Regional representative to the Board at their AGM in September 2008. 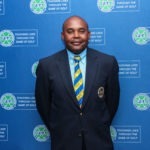 Chairman of Western Province Region and Vice-Chairman of the PGA of South Africa. Martin graduated from Wits with a Bachelor of Arts degree, with education being one of his credits. 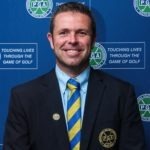 He joined the PGA in 1995 and he did his apprenticeship under Richard Ayers at Royal Johannesburg & Kensington Golf Club. He played on the Sunshine Tour from 1988 to 2000. He was Golf Director from 2001 to 2003 at Royal Johannesburg & Kensington. Martin then set up the academy at Royal Johannesburg & Kensington and has been the Head Teaching Professional since 2004. He was elected on the Central Gauteng Regional committee in 2009. He was awarded the PGA Teacher of the year in 2010. Martin is passionate about junior coaching and has made coaching children one of his specialties. Recently elected Chairman of the Gauteng Central Region. Roy is the founder and CEO of BraxtonGroup, a management consulting business and Peformax a software development business that is based and founded in South Africa. Peformax develops and implements software solutions for the performance and development of people. Roy is also a very keen golfer and enjoys sailing. Roy studied at the University of Stellenbosch, University of Johannesburg and Unisa, obtained a B.Comm and studied towards a Masters degree in Industrial psychology and financial management. Roy is also a part-time lecturer at the University of Stellenbosch in Organizational Strategy. Roy has co-authored 2 books on strategy with Strickland and Thomson to develop a Southern African version of strategy, crafting and executing strategy which is now being prescribed to all MBA programs in South Africa. In addition Roy is a coach to number of blue chip companies CEO's in South Africa, Namibia, Botswana, United Kingdom and Australia. With a degree in Marketing from the Institute of Marketing Management, Jason began his working career in media where he was the Sales Manager for the Independent Newspaper Group. From there Jason followed his passion for sport and went onto Touchline Media where he fulfilled the role of Marketing Manager for various sporting publications like Sports Illustrated and Kick Off Magazine. 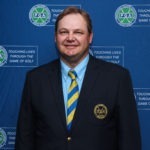 On leaving the media world he joined Fancourt Golf Estate in George as their Golf Development Manager. Jason then furthered his career in golf by accepting the Golf Director position at the prestigious Steenberg Golf Estate in Cape Town. After four years in Cape Town he was offered the position of Director of Sports at Durban Country Club and relocated to KZN. He qualified as a PGA Professional in 2010, and has subsequently decided to go back to the corporate world by joining a broadband infrastructure company called ClearlineIS. 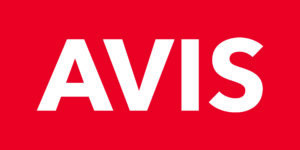 He now heads up the Durban branch as the Regional Director and is responsible for the day to day running of the business as well as the business development throughout the KZN region. Jason has been on the KZN Committee since 2012. He remains extremely active within the PGA which is illustrated in his nomination as the KZN Chairman in 2014. 2007 to current - Managing Director - Inside Right Club Management. 1997 - current - Presenter on Super Sport - Super Golf. 2003 - 2005 - National Board - The PGA of South Africa. 2011 - Achieved "Fellow" professional status. 2011 - current - Creation of golf mentor magazine with fellow PGA member Morne Botha. 2012 - Elected to Gauteng North Region Committee. 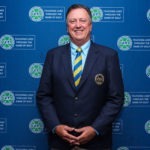 2012 - Re-elected to National Board - The PGA of South Africa. Monde Lot Ndlovu is both a Trustee and responsible for the Maduke Lot Ndlovu Legacy Trust. A Trust founded by the Black Management Forum, in honour of the late Dr Lot Ndlovu, who was a pioneer of Black Economic Empowerment, a trailblazer and gallant fighter for socio-economic transformation. 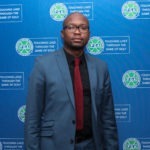 Monde Ndlovu is also a member of the Black Management Forum, and is part of two board committees of the BMF. 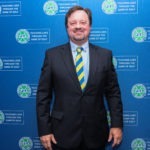 He is part of the NEC, National Events Committee which overlooks the BMF’s National events and provides oversight and direction on those events. He is part of the Editorial Committee, which is responsible for the BMF’s bi-annual publication called African Leader Magazine. Monde Ndlovu is a Non-Executive Director and board member of the PGA of South Africa. Formally appointed in June 2017 by the Association. He also part of two sub-committees of the PGA. Monde Ndlovu is also founding member of the Transformation Council in the Golf Industry. This Council seeks to give direction, measures and leadership on matters of transformation and development in the Golf Industry. This Council is chaired by Golf RSA, who now is sorely responsible for Golf in South Africa. Monde Ndlovu is also an aspiring thought-leader in our community, speaker and transformation leader. He holds a Bachelor of Business Administration Degree with the University of South Africa. And he is currently furthering his studies at Henley Business School South Africa. Having grown up in a golfing family and playing Junior golf at a competitive level, i realised at a fairly young age that i didn’t have the drive to play golf for a living, however my passion and love for the game took me on a different career path within the golfing industry! Having completed a qualification in IT, i spent the next 2 years working within the golf operation at The Wentworth Club in Surrey England. 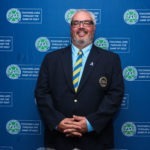 This cemented the start of my career gaining valuable knowledge and insight to running successful tournaments and events at a high level as well as how an effective golf operation is managed and run. On my arrival back home, an opportunity presented itself at Fancourt at The Bramble Hill golf Course and where i joined the PGA and complete my Diploma. Bramble Hill grew tremendously and i was able to develop my current love for golf retail and equipment. 3 Years later saw myself being involved at the Opening and Running of the Taylor Made Performance Lab at the Fancourt Golf Academy where i was based for 3 further Years before being promoted to Golf Professional in the Fancourt Golf Operation. This is where i based myself for 7 years having moved up to Golf Director for 5 years taking charge of the Montagu and Outeniqua golf operations. My time at Fancourt was invaluable and will forever be a great part of my life and will be forever be an ambassador of Fancourt and truly is one of the great estates of the Golfing world. During this time i had fulfilled a role on the PGA committee and took over as Chairman of the region in 2016. I realised that the time had come to seek different challenges and with Sadness and excitement i left Fancourt to explore another different avenue on the Golfing spectrum and got involved in the Wholesale sector with Callaway Golf SA and Global Golf ~ to where i currently reside and seek to further my career within the great game of golf!